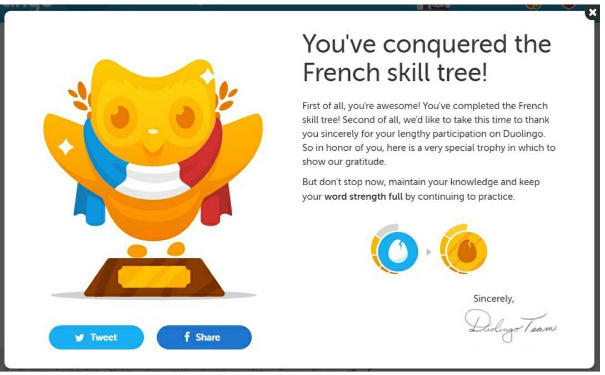 Last fall, we finished Duolingo's French skill tree. Consequently, we received an e-certificate, and we were informed that we're 52% fluent. Very recently, we watched all fifty-two episodes of Yale University's French in Action. Interestingly, we didn't understand 50% of the dialogue, but we understood over 50% of the transcripts.